Welcome to the Yankton Girls Softball Association! The YGSA focuses on Fundamental skill development, creating lasting Friendships, sportsmanship based Fun, and preparing players for a Future in Softball. Let’s get started! We are still accepting registrations through April 30, 2019. Coaches – If any coach wants to go to a softball coaching clinic/camp, we (YGSA) would reimburse you $50.00 towards your choice of one clinic a year. You need to sign yourself up and attend the clinic and then get us your paid receipt and we will write you a check for $50.00. By signing up for a Fury Competitive travel team: You are agreeing to be available for weekend tournaments and out of town games. There may be additional expenses for the team you participate. If you participated on a Fury Team in the past year, you will be placed on that same team this year. If you want to switch teams, you need to contact the YGSA board. If you are new to the Fury Travel Teams, you will be selected to a travel team if space is available subject to YGSA approval. Players/Parents do not automatically get to choose which team you participate. If you are not selected to a Fury Travel team, you will be put in the city rec league. You may then be picked up by a travel team (up to 3 times by one team). 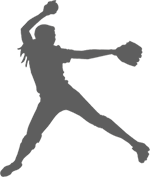 Yankton Girl's Softball mission is to provide a safe, healthy environment that promotes physical exercise, teamwork, sportsmanship, honesty, respect for coaches and players, sound softball fundamentals, self-esteem and fair play. © YGSA	2018. All rights reserved.